“Follow me.” This is Jesus’ call to us in the Gospel. Jesus always invites us to follow him with joy and confidence. During this Lenten season we are called to deepen our commitment to follow Jesus every day and in the process to discover our life. Our example is Jesus himself. In the Gospels we see him faithfully proclaiming the kingdom of God. He is always faithful to the will of the Father and his mission to proclaim the Good News. He does this in spite of threats from the religious leaders. 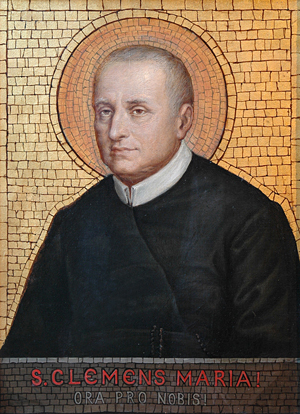 Today we celebrate St. Clement Hofbauer, a Redemptorist priest of the 19th century. He is called the second founder of the Congregation because he brought us out of Italy into other parts of Europe. Clement always grew in his commitment to God and to his people. He took seriously the call of the Gospel today—to be a worker in the harvest of the Lord. He always tried to follow Jesus more and more faithfully. For Clement, what was most important was his mission to proclaim the Good News with his words and his life. In Clement we see a dedicated disciple and a very happy man. As we go through this day, we ask the Lord, through the intercession of St. Clement, to help us follow him more faithfully each day so that we too can be workers in the harvest of the Lord and discover our joy and happiness. Click to learn more about St. Clement.